Are you looking to build a sales and marketing system that generates and closes more leads? Of course. All businesses have the goal of growing revenues and maximising ROI. In the hurly-burly of the disruptive digital marketing revolution, it is easy to forget excellent sales skills is still a major success factor. Do you want to know how to maximise your marketing investment and start solving the sales problems you never knew you had? Automated Marketing Software gets more leads, but then what? HubSpot is a great lead generation tool. When you combine HubSpot with an inbound marketing methodology, chances are you are going to increase the leads that you are generating through your website. No matter what automated marketing platform or advertising solution you use, it's important to remember that leads are not yet sales. Leads still need to be converted by salespeople. Sure, you can create an eCommerce store. We build Shopify stores linked to HubSpot all day and they are an excellent way to generate revenue without involving an actual salesperson. However, many businesses are leaving money on the table by not actively following up their leads and converting them into sales. Sales efficiency requires a strong dedication to both training and productivity. In today's digital world, taking full advantage of a modern day CRMand reaching desired sales targets requires a synergy of new skills that are not always easy to learn without guidance. With better digital closed-loop reporting tools you can, perhaps for the first time, see the real activity that your marketing and advertising are creating. All while exposing underperforming sales teams. Modern sales techniques require a new approach to an evolving industry that is plagued with interruptive methodologies that are no longer effective (or appreciated). To get the most out of your marketing investment, an improvement in the sales process is often needed. How do you start? The Kingdom team have years of experience sales training, dating back to the late 90's. CEO, Adam Steinhardt has been training sales teams and giving keynote sales speeches for over a decade. Here are some free ideas to get your team firing. Better still, run these daily or 2 to 3 times per week as there are many things that sales teams can improve on. Sales training needs to be regular, practising often. Continued refinement is a key to building a successful sales team. Never before has proper training been needed as the world is changing so fast with the internet giving buyers all the power now. Do you have a modern CRM system? The HubSpot CRM is an easy to use yet powerful tool for managing your sales pipeline. The CRM organically grows the history of contact that your sales team has with prospects. The HubSpot CRM dovetails with the HubSpot marketing platform. The best part about the HubSpot CRM is that it is free. If you would like a demo, we are happy to help. Sign up here. 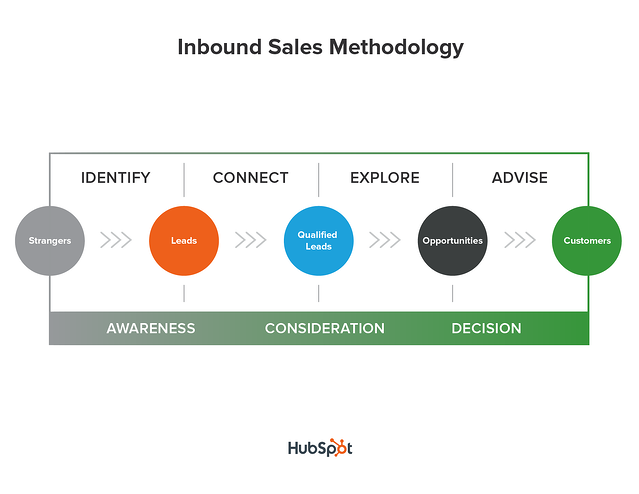 HubSpot is famous for their training and education, and their Inbound Certification is a great way to make sure that your team is on the same page with the inbound methodology. Correctly implementing this knowledge in the marketing department maximises quality lead generation. The Inbound Sales Certification is a sophisticated course that is an excellent way to improve sales skills. Best of all it is free. With over 15 hours of free sales video training, its a great way to bring your team into modern times. 4. Get some classroom training for your team. The Kingdom is launching the a Sales Boot Camp for teams of salespeople that want to make the best use out of the digital toolbox now available to them. The Sales Boot Camp educates sales professionals on how to make the best use of social media, content marketing, blogging and your website, as well as teaching the relevant skills for the modern day era of selling. If you would like more information about the boot camp, the best place to start is by signing up for a free webinar, or contact us today. We will tailor make your sales course, unique to maximising your ROI. 5. Sign up for a free webinar. Register now for our free webinar and discover the benefits of using the HubSpot CRM software. The free webinar is designed to help you kick-start your understanding of the latest inbound marketing and customer relationship management tools without spending a cent. In just 45 minutes, you can gain insights into the best way to get your sales team kicking goals on the digital platforms. As a teaser to the full day Boot Camp training, the webinar will give you a free insight into what is achievable for your sales team if they come to the Boot Camp. It's totally free.